It still picks up my home country? But when I typed in the url for the required site, it still picks up that I'm from my home country? ? Re: OK I did a little test? Did you see the proxy in the right bottom of your Firefox? Re: It still picks up my home country? u may try something like FreeCup program. 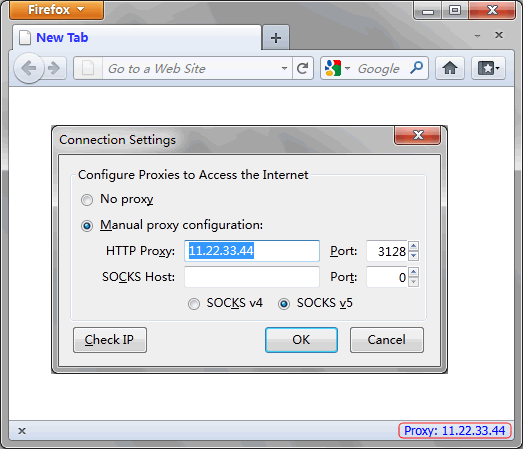 U must fill in the proxy there and add ur Firefox into the program list. Yes, I first made sure the proxy was in the bottom corner of Firefox. To surf the "show-what-ip" page is a manual way to test the proxies. EPS already does that for you automatically. You can just use the proxies that are marked as Level 1 by EPS. However, do you have any idea as to why the required web page still picks up my home country even though I'm going through a L1 proxy? There is some problem with that proxy. You may test it again, it becomes Level 3. Please switch to another Level 1 proxy.